Every day we have the privilege of witnessing what happens when someone’s ability to self heal is restored. Their personality returns. Their sense of humour reappears. You can see hope in their eyes. 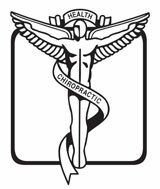 Studies show that chiropractic patients tend to be better educated. If you know someone you think we could help, we hope you’ll send him or her our way.